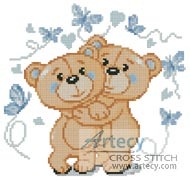 Mini Teddies in Love (Blue) Cross Stitch Pattern to print online. 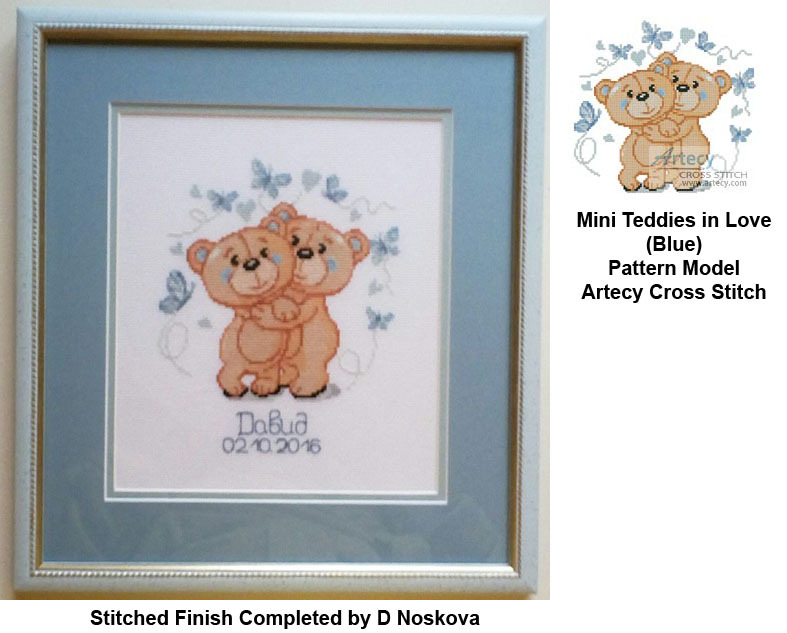 This mini counted cross stitch pattern of Teddies in Love would suit a baby boys room, created from artwork copyright of Dazdraperma - Vectorstock. A larger version of this Pattern can also be found in the Baby Category here.